September is a time of the year to take joy in the bounty of our nation’s agricultural sector. However enticing fresh-from-the-farm produce may seem this month, though, we need to be aware that food-borne illnesses can crop up just as easily in late summer and early fall as in any other time of the year, and our food safety law firm continues to call attention to the pitfalls of contaminated food as well as serve as a top advocate for the rights of those who have been sickened or who have died as a result of consuming tainted food. Bacteria-Linked Disease Outbreaks a Major Problem in U.S. Unfortunately, food-borne illnesses are fairly common in the United States. According to the Centers for Disease Control and Prevention, every year 48 million Americans – roughly one in six of us – will fall ill due to eating contaminated food. Furthermore, CDC data show that during the period from Jan. 1, 2009, through Dec. 31, 2010, public health departments reported 1,527 food-borne disease outbreaks, which resulted in 29,444 cases of illness, 1,184 hospitalizations and 23 deaths. Of the 790 outbreaks with a laboratory-confirmed illness, norovirus was responsible for the most reported infections, followed by salmonella, which was linked to 30 percent of outbreaks. In the most severe cases, however, listeria was the most deadly agent, as 82 percent of those sickened by the pathogen were hospitalized. Indeed, among the 23 deaths during the two-year timeframe, 22 were due to a sickness caused by a bacteria such as listeria, salmonella, E. coli, Clostridium perfringens or shigella. Vine-stalk vegetables are a major source of food-borne illnesses and hospitalizations due to contamination from such pathogens as salmonella or listeria. Just this month, a Wyoming man refiled a wrongful death lawsuit in federal court against a Sheridan, Wyo., Walmart, claiming that his wife died after she consumed a contaminated cantaloupe that was purchased at the big-box retailer, according to the Sheridan Press. Contaminated cantaloupe has been a problem that has devastated the melon-growing sector of agriculture, especially in California, where 75 percent of all the cantaloupes consumed in the United States are grown. While neither of the two biggest cantaloupe-linked bacteria outbreaks in the country – a listeria outbreak in 2011 that sickened 147 people and killed 33 in 28 states or a salmonella outbreak last year that caused 261 people to fall ill and three to die in 24 states – were traced to melons grown in California, sales of cantaloupes from all states have dropped significantly in the U.S. And according to Food Safety News, cantaloupe growers in the Golden State decided in June to adopt a mandatory food safety plan as a measure to restore confidence among consumers of their product. 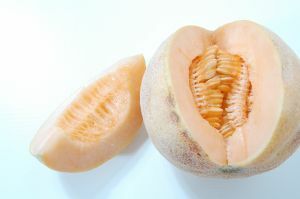 The new standards will include government audits of all stages of cantaloupe production and require handlers to pass the program’s audits, which will be run by inspectors from the California Department of Food and Agriculture. There are steps one can take at home help to prevent food-borne illnesses, but there are many stages along food-production process during which the fruits and vegetables that we consume can become contaminated without our knowledge before they are purchased, and it is reasonable for us to expect that the produce we buy should be safe to consume. If you or someone dear to you has been sickened or has died from the consumption of contaminated food, please call the experienced attorneys at the Brod Law Firm for a free consultation.